Publishers can use the data from our comprehensive medical meetings database to help bolster the content of their own sites and provided added value to their visitors. All feeds are updated in real time. 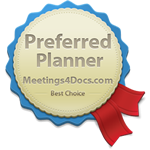 If you are interested in a more detailed list, please contact our Sales team at Sales@Meetings4docs.com.